Odd as it may seem for someone known as The Urbanophile, I actually grew up in the countryside. I spent most of my childhood on a country road about four miles outside the town of Laconia, Indiana, population 50. I always used to get confused when John Cougar sang about living in a small town, because I knew he was from Seymour, and with over 15,000 people that seemed a big town in my book. Today I still laugh at these urbanites who brag about their green ways like having “rain barrels” to catch reclaimed rainwater from the roof for watering their yard. For many years that's what I drank growing up, as we didn't have city water supplies and had to rely on our cistern. After graduating high school I went to Indiana University. Then armed with my bachelors it was on to Chicago, the result of an accident: that’s where my job offer came from. I had no strong feelings on where to live other than that I didn't want to go back to my home town. In Chicago I ended up, like many young professionals, in the Lincoln Park neighborhood on the North Side. Though this too was pretty much an accident. I had relatives who lived there and invited me to stay with them when looking for an apartment. For many people from small town or suburban environments, going to college is a time of tremendous personal transformation and growth. I didn't have that experience. For me, the great transformation came from moving to Chicago. Exiting the L in the Loop on my first day going to work, wearing a suit, surrounded by tall buildings and crowds of people, I felt like I was on the set of a movie. It was an almost surreal experience. Though urban life was new to me, I fell in love with it. And I was transformed by the experience. I knew nothing about culture, food, fashion, architecture, actually relating to people with different backgrounds from me, traveling, or how to get around in anything other than a car. Beyond merely learning how to go to work every day, living in Chicago provided a non-stop stream of stimulating and educational experiences that helped me grow as a person. But it wasn’t just me who was being transformed. The urban renaissance of Chicago was underway by the time I arrived in 1992, but it was very early in the process. I recall recruiters for the company I worked for bragging about how Chicago was now an outpost of that uber-hip coffee chain Starbucks. The gentrified areas were still largely confined to a narrow strip along the north Lakefront. Many of the places that later became yuppie playgrounds were then ethnic enclaves or undeveloped. Some were still close to slums. On the outer reaches of Lincoln Park itself, streetwalkers openly plied their trade along North Ave. The 90s were heady a heady decade for Chicago. The city, like select other major urban metros around the country, exploded with new growth and attracted many new migrants. 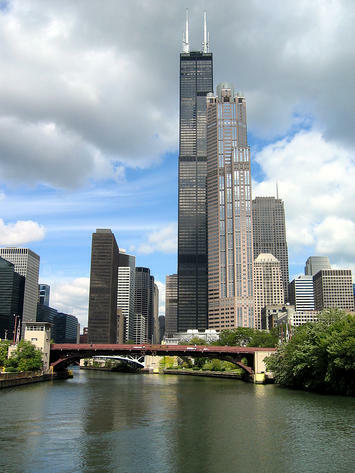 Chicago experienced perhaps the largest urban condo building boom in America, transforming huge tracts of the city. The quality on offer improved radically. The population increased, and the city even added more jobs than Houston. It was a great time to be a Chicagoan, and I enjoyed every minute of it. But come the 2000s, the condo boom continued but an economic and political malaise had clearly set in. Even new mayor Rahm Emanuel has labeled it a lost decade. As the decade ended, I had increasingly made up my mind to leave the city, now the place where I'd spend nearly as many years as my native Indiana. Early this year, I left Chicago behind. What made me decide to leave? There are a few factors, some more personal than others. The first is that I simply had done Chicago. The Chicago experience had been transformational when I got there, but after nearly 20 years it was getting stale. It was just more of the same. It was time for new challenges. I was also motivated by the bleak economy. I owned a condo, an anchor that left me at great risk of getting marooned in the city, a phenomenon recently written about by Crain's Chicago Business. I was willing to sell near the bottom of the market to avoid the risk of getting stranded. There is no clear sense of an imminent major turnaround. There are huge unfunded liabilities at all levels of government in the region and state. The city’s economy seems to have lost a clear raison d'etre. No longer the “city of big shoulders”, it is losing out to urban areas with stronger economic identities --- New York, San Francisco, Los Angeles, Washington and, even emerging cities like Houston. So in the end I decided it was worth paying a “breakup penalty” to get out. Interestingly, no one, not even my alderman, suggested I was wrong in this. Lastly, I no longer saw Chicago as a good platform for my personal ambitions. The city likes to see itself as occupying a “sweet spot” as a legitimate urban oriented big city with a lower price tag and higher quality of life. Yet for me Chicago was a “sour spot” that offered neither the opportunities of say a New York, Washington, or San Francisco, but still came with a high price tag. I would rather live in a small city that’s dirt cheap where I can have more impact, or in a place like New York where the cost of living might be greater, but the opportunities are matchless. That is ultimately where the city will stand or fall. I'm but one example, but it's a decision repeated with various results day after day: is this where I'll plant my flag, seek my fortune and dreams, raise my family, or build my business? Chicago has to be seen as a success platform for both people and businesses. The demographic and economic results of the 2000s suggest it is losing that battle for the moment, though given the 90s results, it is certainly possible to think that might change again tomorrow. As for me, Chicago will always hold a special place in my heart and I'll treasure my experiences there. But for now it's on to new adventures. Chicago skyline photo by Bigstockphoto.com. Submitted by xijozx1122 on Sat, 02/28/2015 - 05:55. Submitted by majoin on Sat, 11/16/2013 - 10:54. Submitted by minad92 on Mon, 09/23/2013 - 12:55. Submitted by Jenas on Mon, 10/07/2013 - 11:52. Submitted by Uffersons on Wed, 05/02/2012 - 03:03. No mention of the recent PricewaterhouseCoopers study of international cities ranking Chicago 3rd highest in the US and 7th highest in the world in terms of business opportunity and overall success. No mention of the area having the most corporate facility expansion projects of any metro in 2010.